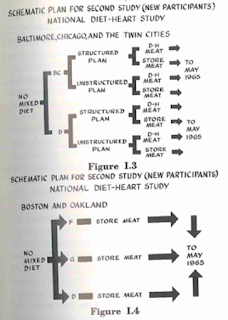 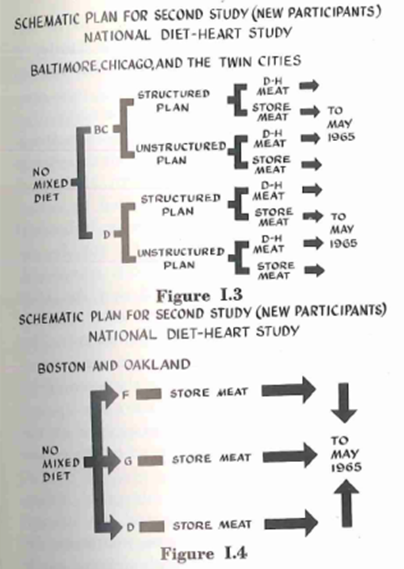 The extended and second studies were designed to compare the effects (feasibility, compliance, cholesterol response, etc) of the double blind design with the DH-foods against diet plans without the DH-foods. 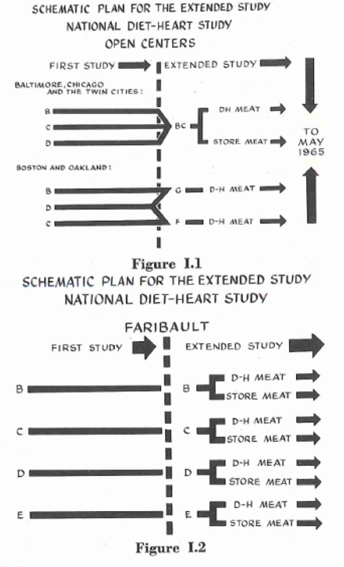 The structure of the extended and second studies is more complex and is probably best explained by the diagrams below. 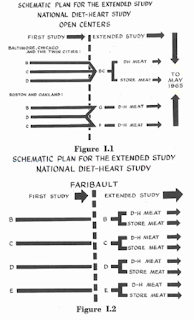 The second study in Faribault examined whether differences in fatty acid composition affected the response to increases in dietary cholesterol and found that higher SFA diets increased the response.